Tecno Mobile has launched the much anticipated smart phone, the Camon 11 and Camon 11 Pro to add to its list of Camon series. The Tecno Camon 11 is an Android powered device that comes with AI technology for better selfie photography, sharp screen display and offers a better user experience. And yes, the Camon 11 devices features a notch and a trimmed down bezel. "The Camon 11 and 11 pro utilizes improved AI technology for selfie photography in addition to many more AI-powered operational features. Together with the super Notch Screen and upgraded multi-tasking software , Camon 11 and Camon 11 Pro offer consumers a better user experiences," Tecno Area sales manager, Mr. Ernest Sonkor said. 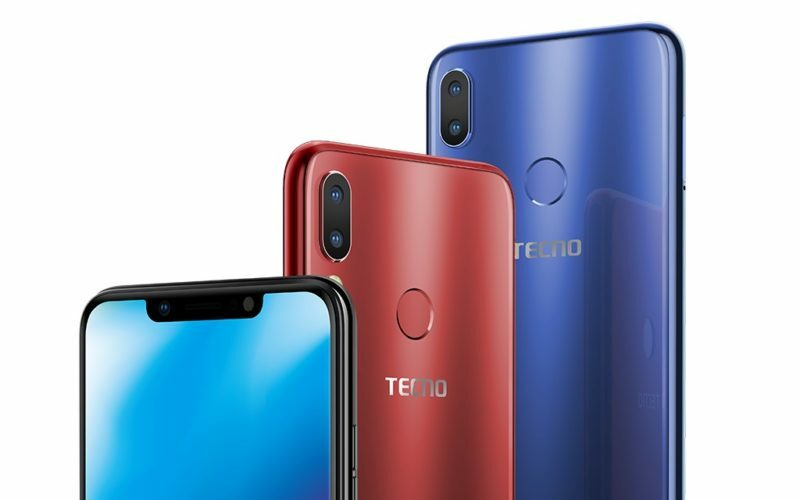 The Tecno Area sales manager went on to say that the Tecno Camon 11 devices were created and targeted towards young people who follow the latest technological trends and happenings. The Camon 11 devices comes with a 6.2-inch IPS LCD touchscreen display (720 x 1500). Both devices are powered by a MediaTek Helio A22 CPU, an Octa-core processor clocking 2.0Ghz. While the Camon 11 Pro has a Mali-G71 MP2 GPU, the regular Camon 11 has a PowerVR GE8320 GPU instead. The bigger Camon 11 has an internal storage of 64GB while the regular Camon 11 has a 32GB internal storage. Both can be upgraded via an external microSD card to support up to 128GB. The focus on this Camon device as we all know is the camera. The bigger Camon 11 device has a rear dual 16MP + 5MP camera with Quad flash, and a selfie 24MP camera with LED flash. While the regular Camon 11 has a rear dual 13MP + 2MP camera with Quad flash, and a selfie 16MP camera also with LED flash. The AI features such as the AI Bokeh effects and AI HDR promises amazing photos and selfies on the tecno Camon 11 devices. Other features of the Camon 11 devices includes their support for 2G/3G/4G networks (Supports Faiba 4G). Both supports dual SIM, comes with 3750mAh battery capacity and runs on Android 8.0 Oreo. However, Camon 11 Pro comes with 6GB of RAM, while the Camon 11 comes with 3GB RAM. Theres a fingerprint sensor at the back of the Camon 11 device. The tecno devices comes in different comes in different colours in Bordeux Red, Aqua Blue and Midnight Black. The Tecno Camon 11 devices is expected to start hitting stores from the 24th of November 2018.